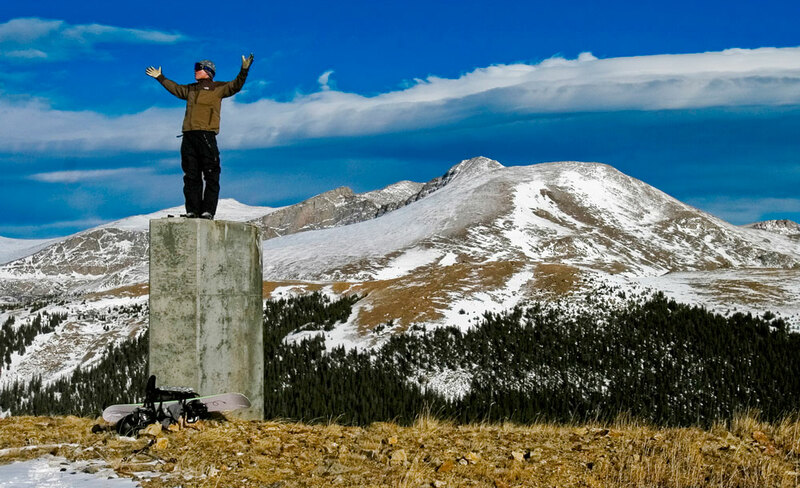 The Guanella Pass Scenic Byway is a great introduction to Colorado's Rocky Mountains. Climbing to timberline, the byway takes in views of 14,060-foot Mount Bierstadt and the alpine tundra before descending into cool groves of aspen and pine, as well as the historic town of Georgetown. • From the town of Grant along U.S. Hwy. 285, head north on Guanella Pass Road to the town of Georgetown. 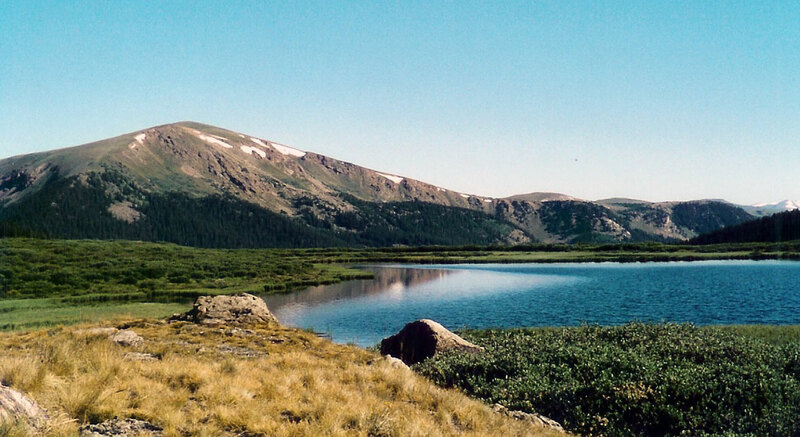 The paved road leads you over 11,669-foot Guanella Pass with its spectacular views of Mount Evans and Mount Bierstadt. This road, while a detour from Hwy. 285, provides a perfect snapshot of the Rocky Mountain ecosystem in only 22 short miles. Have your camera ready — animal life is plentiful throughout the area, with bighorn sheep and the occasional beaver making frequent appearances. • One hour and miles of inspiring views later, you’ll come across historic Georgetown. A former mining town, Georgetown is now known for its spectacular scenery and well-preserved history. Take time to get acquainted with the area through short city walks or extended hikes into the backcountry. 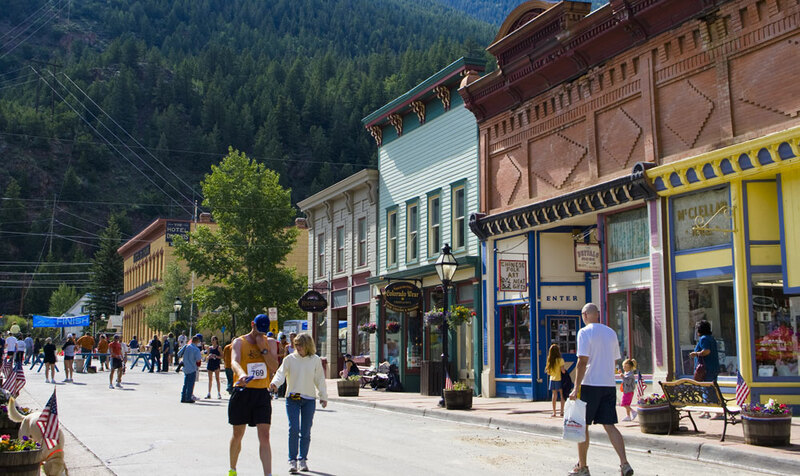 Dine and stay at any one of Georgetown's restaurants or hotels while surrounded by Colorado's mining history. • Established as an incorporated town in 1868, Georgetown was a miner’s camp that had a distinct geographical problem. It was rich in mineral deposits, but freight options for getting the massive amounts of ore out of the Rockies were limited. That is, until 1877 when railroad magnate Jay Gould brought the Colorado Central Railroad to the area. With the extension of the line connecting Georgetown and Silver Plume, the fortunes in the mines could more easily be transported to Denver's smelters. The new rail line also strengthened the local economy by turning Georgetown into a service community for surrounding mining camps. • A great engineering feat by any measure, the Georgetown Loop Railroad now powers you through a forested gorge and silver mining lore. In a certain section, a high bridge spans 93 feet above Clear Creek. The line also offers vistas of the Rocky Mountains that provide postcard-worthy shots even for the novice photographer. If you're in the area, it's a destination you don't want to miss. Owned by History Colorado, the railroad runs daily between Memorial Day and the end of September, and gives you the chance to ride a significant piece of the state's history. When you take the train, you are also given the option of exploring the Lebanon Silver Mine. Don a hardhat and be guided through 500 feet of one of Colorado's legendary mines. The temperatures in the mine can get cool, so a light jacket is recommended. • The Hotel de Paris is also a must see. The story of the hotel is one wrapped in heroism and fantastic stewardship. In the late 1800s, the French-born Louis Dupuy set up residence in Georgetown and took on the laborious profession of being a miner. In 1873, he was injured in a mine blast while pushing his coworker out of harm's way. With injuries ending his short career as a miner, he looked to other career avenues. The people of Georgetown, informed of his heroic actions of self-sacrifice, took up a collection to help him start a new business. Dupuy did just that by purchasing a bakery and transforming it into the Hotel De Paris in 1875. Since that time, the hotel has hosted thousands of travelers and now sits as a tribute to the hard work and diligence of this French-American entrepreneur. • The centerpiece of Georgetown's historic district is the charming Hamill House. As a meticulously preserved example of late-1800s residential living, the house offers an extraordinary opportunity to see the architectural styles, furnishings and landscaping techniques of the day. As part of an expansion to the house in 1879, a magnificent conservatory was added. Step inside the spacious greenhouse and be captivated by the splendor of the indoor garden. The Energy Museum has been fully functioning since 1900. This hydroelectric plant provided electrical advances needed by the mining industry. The Georgetown Energy Museum now serves two purposes: generating electricity and enriching our knowledge of the area's past. The museum portion of the facility provides glimpses into the challenges of providing power to area residents. You'll also find information on the sheer power of the tamed water originating in the Georgetown Reservoir that generates the plant's 1.5 megawatts of electricity. Four-wheel drive required? No; the route was recently paved. Photos: Mount Bierstadt, historic downtown Georgetown, Mount Bierstadt.